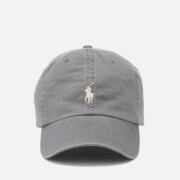 Men’s black logo cap from the quintessentially American label, Polo Ralph Lauren. 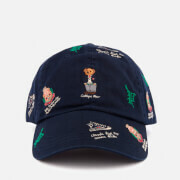 Forming a traditional structure, the baseball cap comprises six panels, embroidered ventilation eyelets and a curved peak. Secured at the rear with a leather strap and adjustable buckle for a custom fit. 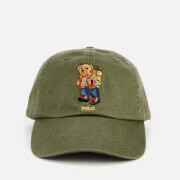 Detailed with a contrast appliqué ‘3’ patch to the side and the label’s classic pony motif to the front. Finished with ‘Polo’ branding to the rear.